Just finished! 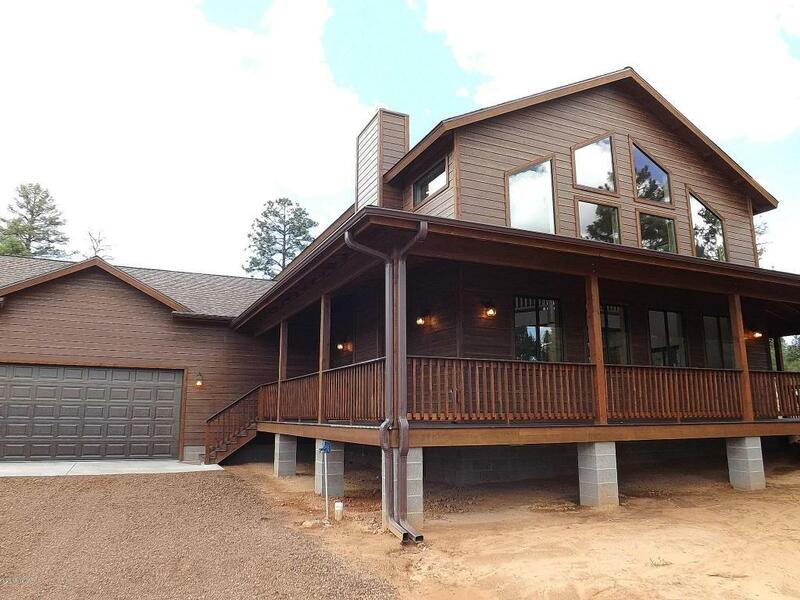 This 2300 SqFt, 3 BR / 2.5 BA cabin is nestled stately on a nicely treed 1 acre lot. This gorgeous cabin features porcelain tile in the bathrooms/laundry room, granite counter-tops, travertine tile in the showers, knotty blue pine T&G ceilings, a wall of windows with knotty blue pine, knotty hickory cabinets, 3/4'' rustic hickory hardwood flooring in the great room and kitchen, knotty pine interior doors, large laundry room, central heat/AC, a generous loft, master suite downstairs, and a stone faced fireplace in the open great room. The exterior boasts no maintenance Mountain Red Smart Siding and 3/4 covered wrap around deck with Trex. Magnificent cabin!